Product prices and availability are accurate as of 2019-04-14 09:50:34 EDT and are subject to change. Any price and availability information displayed on http://www.amazon.com/ at the time of purchase will apply to the purchase of this product. Agrifold organic tableware brings to you 100% natural, biodegradable and compostable ecofriendly designer disposable tableware. Agrifold range of plates, bowls and other tableware are creatively designed to various shapes and sizes for households, cafes, restaurants, hotels, motels, food kiosks on street, restros etc. and suitable for a variety of occassions - be it weddings, parties, events, conferences, picnics, camping etc. Agrifold products are organically sourced and made in India from fallen leaves of areca palm trees without any destruction of those trees. You can serve your guests with soup, appetizers, salads, main course, desserts and much more in our wide range of tableware. Agrifold Areca Palm Leaf Products are microwave and refrigeration safe. 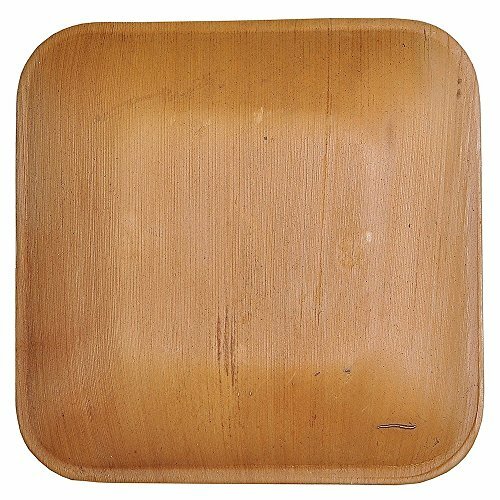 Agrifold Areca Palm Leaf Plates and bowls are sturdy for using fork, spoon & knife, and at the same time also light weight and easily disposable without affecting the environment. Agrifold 6 inch square deep plates are a perfect way to serve your guests with snacks, sandwiches, burgers, cookies, muffins, croissants, pastries, desserts and more. 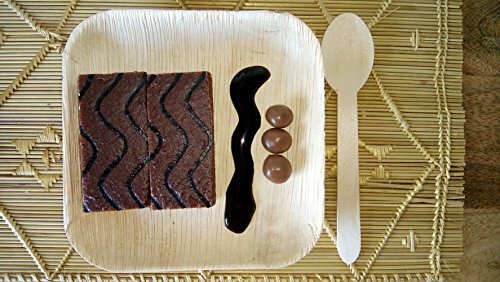 Agrifold Areca Palm Leaf disposable plates and bowls are 100% natural, biodegradable, compostable and creatively designed eco friendly disposables, organically sourced and made in India from fallen leaves of areca palm trees without any destruction of those trees. 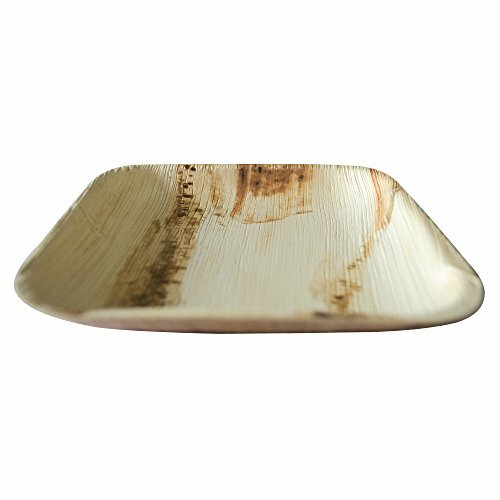 Agrifold areca palm leaf disposable tableware are 100% chemical free and free from any artificial coatings i.e. 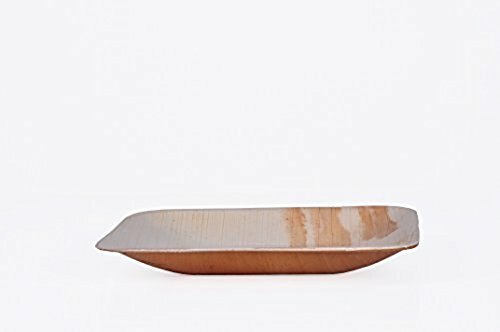 the natural leaf is directly used to create the plates and bowls of various shapes and sizes thereby retaining the original leaf's natural colours and texture; the tableware is fully safe for food and liquid contact, easy to use and easy to dispose. 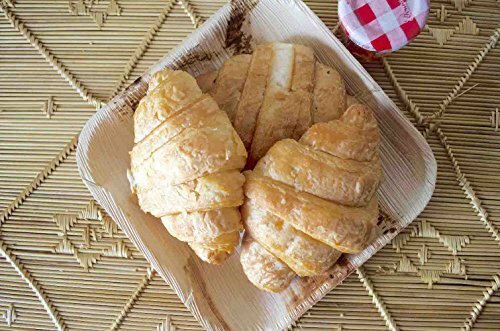 Agrifold organic areca disposable tableware are naturally microwave and refrigeration safe material and are light-weight-yet-sturdy for use with fork, spoon and knife for wide variety of food, snacks and dessert servings. 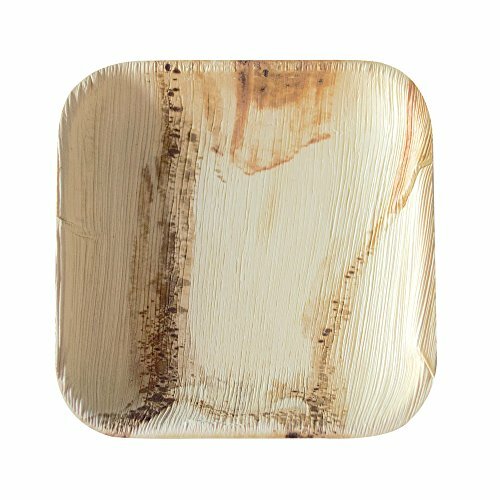 Agrifold Areca Palm Leaf disposable plates and bowls are a perfect solution to drive environment sustainability and protection by offering a great alternative to plastics, thermofoam, paper based disposable products which otherwise take longer time to biodegrade upon disposal and pollute the environment.